Welcome to the RemARKable Stamp of the Month Blog Tour! 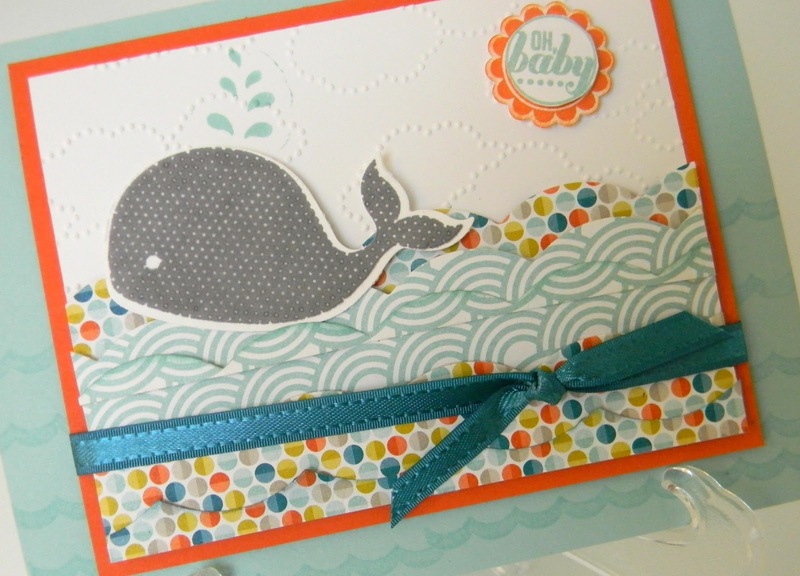 This tour features the stamp set Ciao Baby. I hope you enjoy the samples I have created for you! 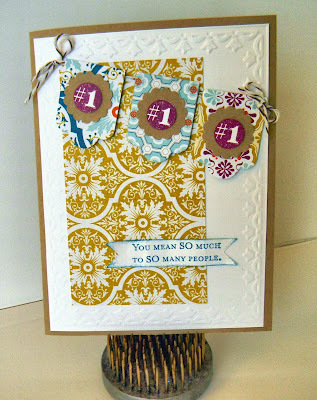 The feature on this card is the bunting with #1 which I think turned out really cute! The verse comes from a stamp set called One in a Million - perfect to pair with the #1 stamp image! 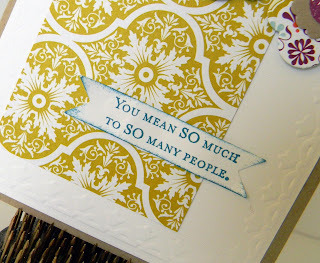 After stamping the verse, I cut it out using one of the banner shapes from the Bitty Banners Framelits set ( a must have! I use these framelits all the time ). 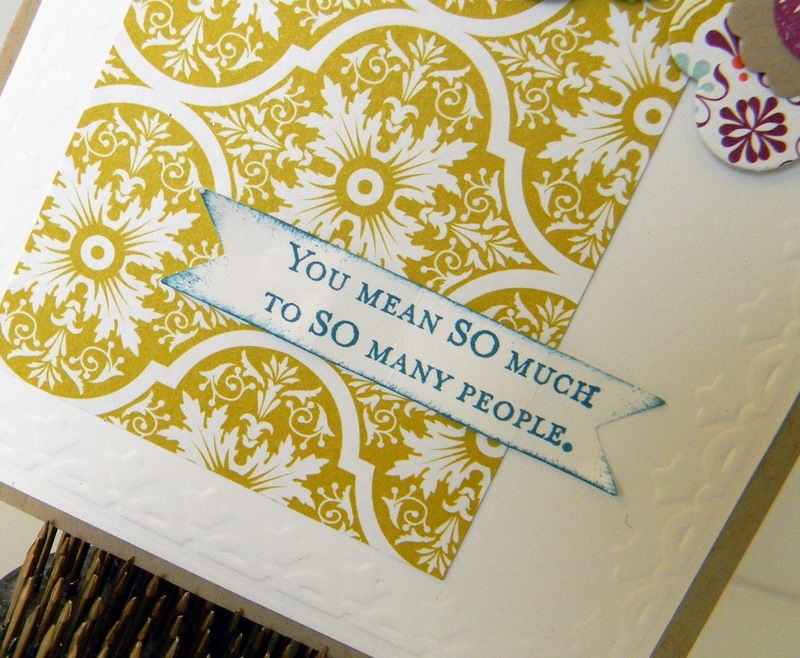 I sponged around the edges which helps the banner to stand out a bit on the card. 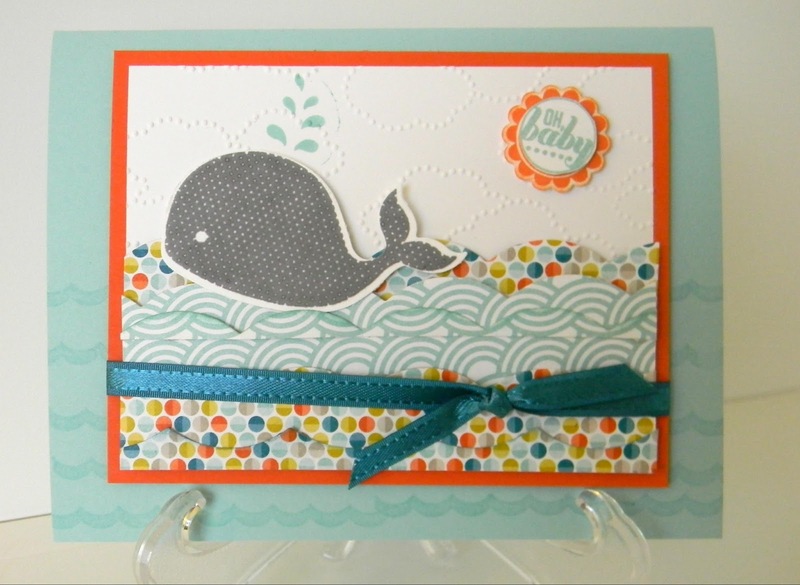 Sponging is one of the easiest techniques to do to add a pop! Here is the inside. 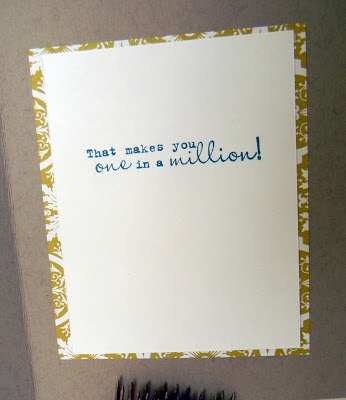 What I love about the One in a Million verse stamp set is there is a sentiment for the outside and one that coordinates for the inside. We all love inside verses so that we don't have to think of to much to write - am I right? 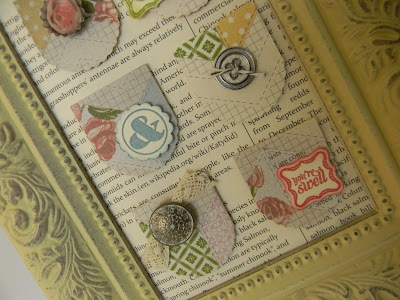 To tie it all together I used the same designer paper from the front as a background inside. 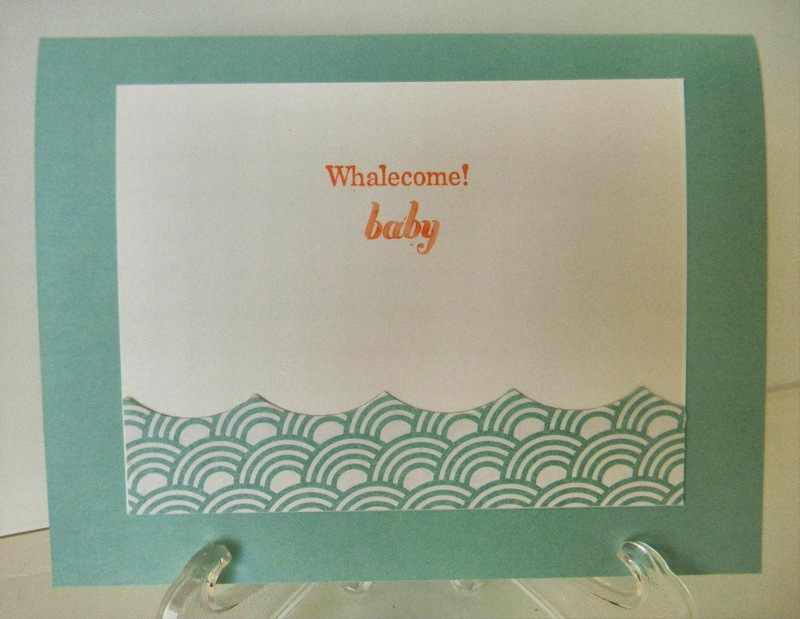 Someone who works with my son is having a baby so I made this card with her in mind. She is having a little boy and I thought the Oh, Whale stamp set would be perfect to pair with the Oh Baby image from Ciao Baby. I had a lot of fun making this card! The colors were pulled from the Sycamore Street Designer Series Paper. This is the image from the Ciao Baby set. And the inside. 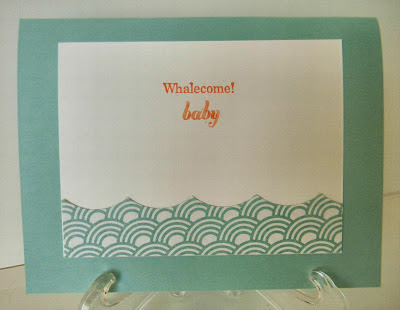 I used the Tangerine Stampin' Write Marker to color just the word baby to stamp under the sentiment from the Oh, Whale set. I used a piece of scrap leftover from the pieces I cut for the front to put inside. This paper reminds me of the ocean. 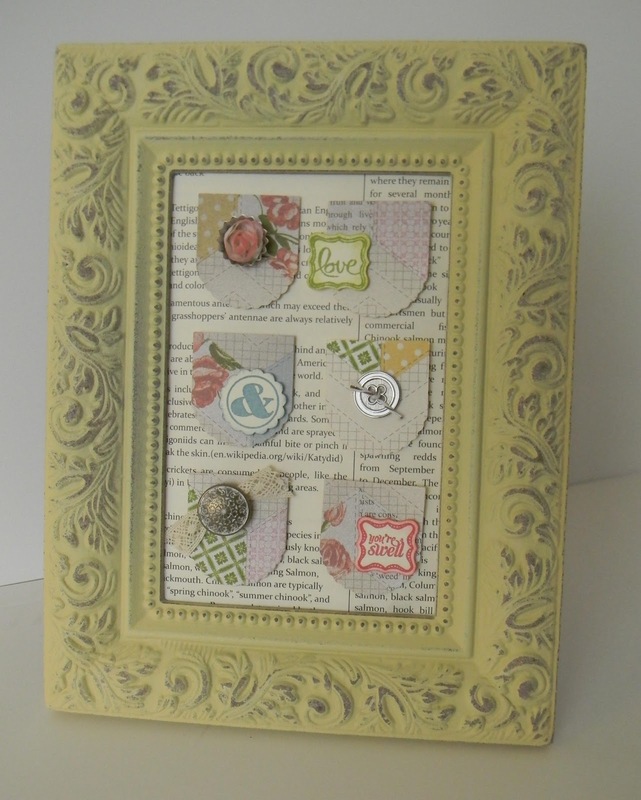 I have had this frame laying around my stamp studio for months. One of those things I bought on sale saying that I'll use it one day for something.......you know you all have a "one day I'll use this for something" pile. Anyway, I thought this turned out cute and I'll display it on one of my shelves in my studio. I used one of the Vanilla Trim Flowers inside the small Soda Pop Tops. After sponging the flower, I cut it down so that it would fit nicely inside the Pop Top. I just used Tombo Multipurpose blue to adhere it. 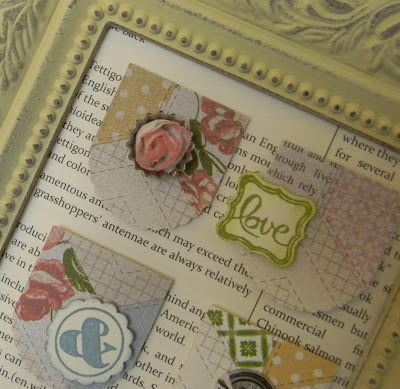 Two punches were used to punch out the images - the Petite Curly Label punch for the Love image and the 7/8" Scallop for the & image. Coordinating punches make life easy when making projects. Accessories - Antique Brads, Silver Basic Buttons, 7/8" Scallop punch, Petite Curly Label Punch, Hearts a Flutter Framelits Die, Crochet Trim, Vanilla Flower Trim, Early Espresso Bakers Twine, Soda Pop Tops. Love your projects, Debbie. 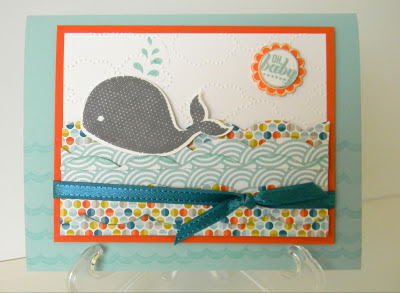 Especially like the way you made the waves on the whale card. I like the framed artwork too! Wow Debbie, I loved all three of your projects! 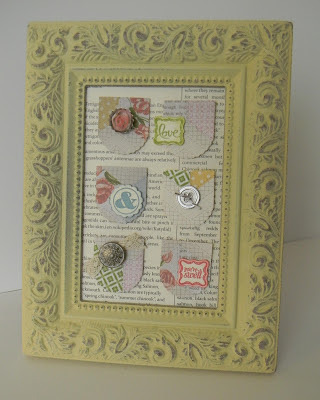 The frame is a show stopper and I might just have to case that idea - so adorable! Oh Robin, thanks! I do love how the frame turned out. I'd be honored to have you case it! !